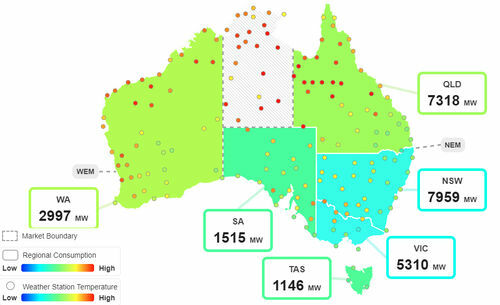 With the discussions in the media about electricity prices, retiring of coal fired power stations, security of electricity supply, some actual consumption data can help to make sense of the situation. Here’s a great widget that shows the current electricity consumption by state. Move your move over the map and you can see more information such as the historical low and historical maximum demand in each state. The widget takes a moment to load.